What's in the box: Las Perlitas — Backyard Beans Coffee Co.
A few months back we got our fresh arrivals from Huila, Colombia. Last year Stephen from Coffee Quest importers visited us at our roastery and told us about the project they are doing in Santa Maria, Huila. We were intrigued in the investment they were giving this remote community, setting up a cupping lab, training locals in the lab, and setting up a warehouse. A lot of work goes into producing specialty coffee. The neat thing about their project in Santa Maria is that they are buying not just the top scoring lots, but also the solid mid-tier coffees. This provides a more sustainable future for the producers, providing a market to sell their coffee to where they will get paid more than the commodity market price. We selected 4 lots from this shipment this past fall. Last month we sent out El Triunfo, the washed Caturra from Audon Solano’s farm in nearby Palermo, Huila. Audon saw what Coffee Quest was doing in Santa Maria and he wanted to sell to them. After they visited his farm they formed a relationship and this was the first year Coffee Quest brought his coffee in. This month we are sending out Las Perlitas. This is a blended lot of coffees that received a cup score of over 86 points. 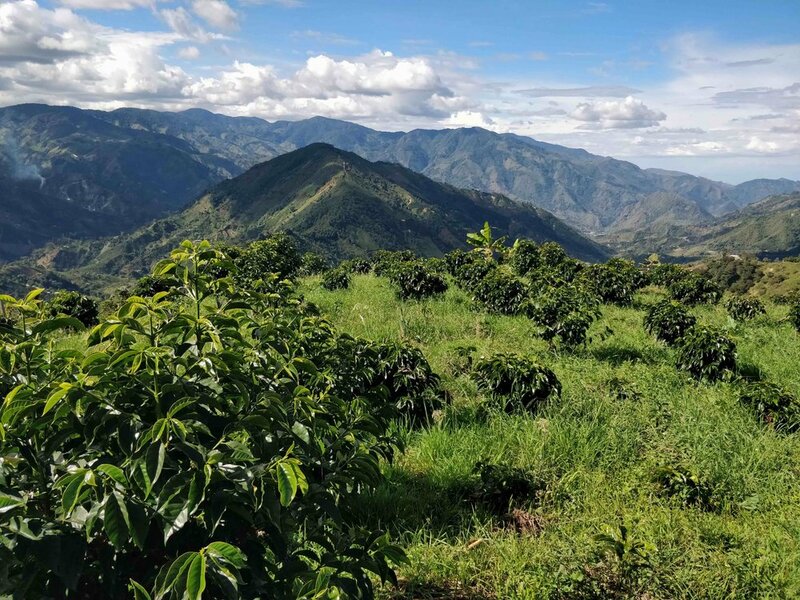 These lots were not large enough for the Coffee Quest to separate into their own micro-lots, so instead they pay the producers a premium for the quality and they blend these coffee’s together to provide a high scoring, regional lot that represents the “pearls” of Huila. A lot of work goes into sample roasting and cupping every lot that comes in, and then separating the bags accordingly. We hope you enjoy Las Perlitas as much as we do! We get notes of strawberry, cola, and maple. It’s a fragrant, slightly fruity, sweet and syrupy cup with a really nice balance of acidity, sweetness, and body.